Columbia University lost its second professor this week to accusations of sexual misconduct by former students, in a wave of investigations into sexual harassment by university officials and faculty at American campuses. 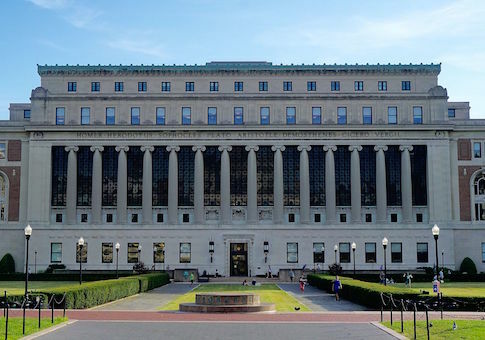 Thomas Roma, director of Columbia's photography program since 1996, resigned effective immediately after five women came forward with allegations reported Wednesday in the New York Times. The university conducted internal investigations into the allegations when they were originally made over 15 years ago, and found in at least one case that both the alleged victim and Roma were responsible for the incident. This comes after tenured history professor William Harris retired last month following accusations by an anonymous female graduate student that he had pursued nonconsensual sexual contact since 2012. Meanwhile, Todd Heatherton abandoned his post as visiting scholar at New York University in November, when an investigation was opened into his alleged sexual misconduct as a psychology professor at Dartmouth College. He is among three Dartmouth faculty members who were placed on paid leave in October pending the results of inquiries into the claims. Norman Pattiz, a long-time member of the University of California Board of Regents, announced last week that he would resign in mid-February, following sustained pressure over revelations in 2016 that he allegedly sexually harassed an employee at his radio company. UC students have since been demanding he step down, and called out UC President Janet Napolitano for her repeated statements about being devoted to combatting sexual misconduct—even setting up a "student advisory board" on the issue—while allowing Pattiz to remain. At the University of Wisconsin-Milwaukee, 37 faculty and staff have been accused of sexual assault or harassment since 2013, according to a new report by the student paper, Media Milwaukee. Violations were found in 11 of those cases and two investigations are still pending, though it is unclear what action were taken by the administration when misconduct was discovered. In a statement to a local new outlet, the university would only say "appropriate discipline was taken" when misconduct was found. "Most of the employees were terminated or had already left the university," added the university. Media Milwaukee notes that the Office of Equity and Diversity Services, responsible for overseeing harassment reporting and investigations, has been "extremely understaffed for about 10 years," and seen frequent turnover, with four different interim directors since 2011. A part-time chemistry professor at George Washington University has charged administrators subjected her to an "malicious" Title IX investigation into alleged sexual harassment of a student, and filed a lawsuit against the university and staff late last year.